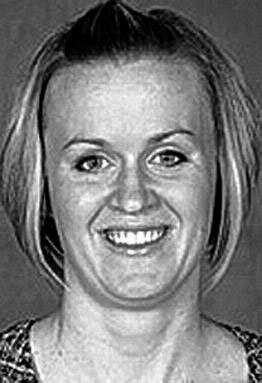 Women's basketball coach Taren Martin led Eureka College to a 21-5 record in the 2011-2012 season for only the fourth 20-win season in program history. For that, she was named the St. Louis Intercollegiate Athletic Conference coach of the year. Eureka's 21-5 record last season represented a 12-win improve ment over the 2010-11 campaign and the squad's 13 SLIAC wins were the most conference victories for the program since Eureka College began conference-affiliated competition at the Division III level in 1996-97. 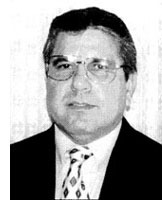 One of the most successful coaches in local high school football history, John Venturi retired in December 1998 as head coach at Washington High School with a 147-60 record for 20 seasons. He remained the school's athletic director. His 1985 team won the state Class 4A championship and he was runner-up in 1983. In all, his Panther teams made the state playoffs 16 times. He coached Washington to 10 Mid-Illini titles and one Mid-State 10 crown. At one time Washington won 30 conference games in succession. Eight of his teams were unbeaten in conference play as he finished with a 99-28 conference mark. The 1985 state championship team went 13-1, downing Rockton Hononegah 28-12 in the title game at Illinois State. Included in the five state playoff wins the Panthers produced on the way to their state title was a narrow 21-18 win over Springfield Griffin and a 14-12 nod over Geneseo. Washington finished second in 4A in 1983, bowing to Woodstock 28-12 in the title game at Northwestern. Venturi was twice selected as Tri-County Sports Figure of the Year and was twice named Greater Peoria Football Coach of the Year. He also was selected as State Coach of the Year by the Illinois Coaches Association. Venturi was an all-state quarterback at Pekin High School and was a member of Pekin's state tournament championship basketball team in 1967. He was a backup quarterback for Missouri's 1969 Orange Bowl team and was a graduate assistant at Missouri when the team played in the 1972 Fiesta Bowl. Before taking over the Washington football job in 1979 he was an assistant football, baseball and basketball coach at Peoria Central and was on the Central basketball staff when the Lions won the state title in 1977.